The Dnepro Press Steel Plant has been certified by “Energoatom” the National Nuclear Power Generating Company. The plant will be able to supply the forgings made of various types of steel as well as titanium alloys to the state enterprise. These products are used in the construction of pipelines and turbines at Ukrainian nuclear power plants. The certification process at Dnepro Press Steel Factory lasted about a year. Obtaining of a certificate was preceded by a production large-scale modernization, invested by Vadym Yermolaiev. 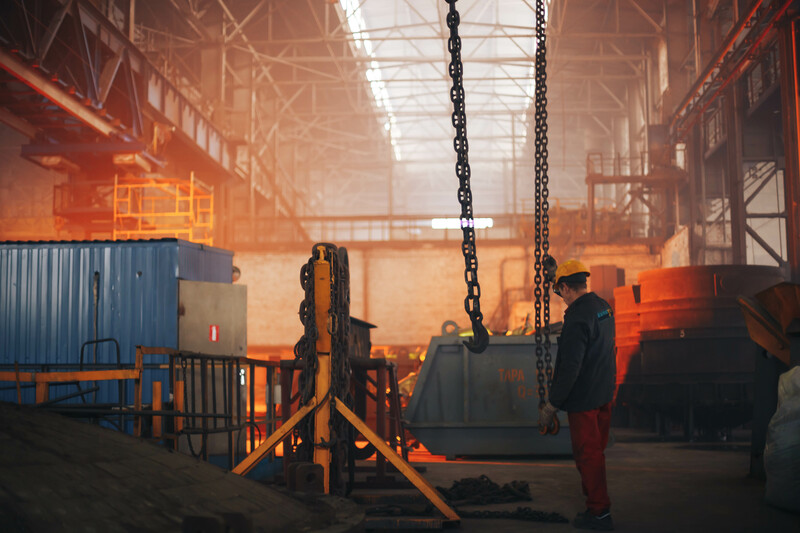 A new forging complex has been installed at the Plant during the last year; it consists of a press (up to 3,500 tons of force) and a forging manipulator. Also on the electric arc furnace has been modernized at Dnepro Press Steel Factory and this allowed to produce forge ingots weighing up to 15 tons. It has been noted at the Factory that a successfully completed certification by “Energoatom: provides an opportunity to participate in many tenders of the state-owned enterprises, which will contribute to the usage of production capacities. The Dnepro Press Steel Factory now participates in a tender aimed at modernization of the polar cranes of the power unit No. 1 and No. 2 at the Rivne Nuclear Power Plant. These cranes are used in the reactor compartments to transport equipment during repairs. We should also recall that “Energoatom” has in plans to perform a long-term repair of the two Zaporizhzhia Nuclear Power Plant units. Reference: “Energoatom” acts as the operator of the four operating Nuclear Power Plants in Ukraine, which operate 15 nuclear power units. “Energoatom” provides about 55% of Ukraine’s electricity needs. Also, the “Energoatom” National Nuclear Energy Generating Company was designated as the operating organization, which is responsible for the safe production of electricity.